With mild climate and abundant rainfall, Uganda, the open water area of which accounts for 15.3% of the land area, owns the most abundant water resources in Africa. It has unique conditions and advantages for fishery industry development. Five major lakes (Lake Victoria, Lake Albert (Africa), Lake Kyoga, Lake Edward and Lake George (Uganda) are the main sources of fish in Uganda. Lake Victoria, the biggest area of fishing, continues to be the most important water body in Uganda both in size and contribution to the total fish catch. It has more than 200 fish species, rich in Nile tilapia (Oreochromis niloticus) and clarias catfish (Clarias gariepinus). North African catfish is currently the most popular, accounting for 60 percent of Ugandan fish farming. In Uganda, about 1.2 million people are engaged in fishery industry, and nearly 5.3 million people take fishing for life. Fishery output value accounts for 20% of Uganda’s agricultural output, accounting for 5% of GDP. ★Fish represents much of animal protein. It is usually low in saturated fats, carbohydrates and cholesterol, provides a wide range of essential micro nutrients, and lowers cholesterol levels in blood and reduce incidence of high blood pressure and heart disease. Because of its high quality protein with essential amino acids and fatty acids, fish is increasingly preferred over this country. ★The fisherman who take income for motive power have a greater impact on the production of fish, and make direct contribution to the rural economy through the trade of fish products; The products of the new commercial fish culture have very important and significant contributions to the fish production and the national economy. Recent years, due to the illegal fishing and environmental pollution, production of the fishery has greatly decreased. With the fast development and great advancement of fish farming technology in other countries, Ugandan seems increasingly out of its depth due to difficulties faced by itself now. ◇The capacity of seed and feed production is lower; lack of technical services for fish farmers is partly responsible for low production. ◇With commercial enterprises and research institutions engaged in reservoir, ponds, cages and other aquaculture areas, freshwater fish farming has a rapid development. The scale of freshwater aquaculture, however, is still unable to make up for the gap of the natural water area. Besides those problems mentioned above, according to a survey conducted by Fanway fish feed machinery which is specialized in manufacturing and providing international customers with quality fish feed pellets equipment, for most fish farmers in Uganda, they are facing 2 biggest problems: one is the lack of credit facilities considering the higher start up capital investment. Just like most fish farmers in other developing countries, such as in Indonesia and Nigeria, people in Uganda dare not invest in fish farm or other businesses rashly. Taking lagging economy out of consideration, the main reason is weak credit mechanism. 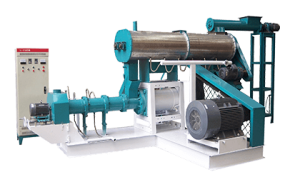 The other problem is the shortage of advanced fish feed pellet mill, which is the main reason that fish feed quality are not up to the standard. Poor fish feeds are incapacitating farmers as they cannot even recover the capital invested in fish farming. An article, named as “Fish farmers decry fake fish feeds on the market” posted by New Vision in 2013, mentioned that fish farmers in Uganda called upon the Government to intervene in fish feeds production because sub-standard feeds on the market had lead to stunted growth, directly affecting the profitability of fish farming. Government should help feed producers by providing them with the necessary fish feed machinery and improved feed ingredients. The government provides financial credit, renew the fishery economic policy, encouraging everyone to create a fishery and learn advanced science and technology. Surveys indicate there are plans to boost fish outputs in Uganda. The ministry of Agriculture, Animal Industry and Fisheries has completed drafting a new policy that seeks to promote fish farming in the country through establishing aquaculture parks.The policy could go a long way towards reviving the dwindling fish volumes that once made Uganda a strong fish-exporting country. Government will identify specific areas in the country that are suitable for fish farming and acquire the sites for concentrated production. There are numerous opportunities for investment in fish farming for Ugandans. One area that is attracting interest is cage fish farming. Uganda’s vast water bodies offer great cage fish farming opportunities. The country has a number of water spaces in the form of wetlands and open water systems where aquaculture parks can be developed for both rural, smallholder pond based aquaculture system and commercial and industrial type production system. 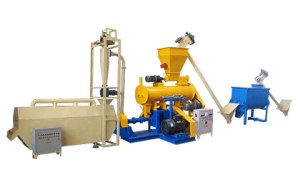 Introduction of advanced fish feed making technology. Due to the fast development of commercial fish farming in Uganda, aquatic feed production industry is growing rapidly, the most common-used fish meal being Fish Feed Pellets. Because of the variety of fish species, the formula of fish feed is very important and the nutritional needs and quality of raw materials are the key to manufacture cost-effective and sustainable fish feed pellets. Besides that, the digestibility of nutrients and palatability of fish food also should be taken into consideration during the fish feed pellets production. With the introduction of extruded fish feed making technology and the help of fish farming equipment, fish farmers in Uganda are able to produce fish feed to accommodate the feeding habits of the target species. 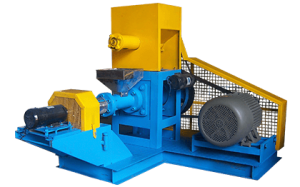 In mixing process, raw materials will be blended together evenly in fish feed mixer. Meanwhile, with the addition of other nutrient elements, fish feed will be with high nutritional value, which, to large extent, will solve the embarrassed situation of aquatic feed production, and promote the development of fishery in Uganda. There are already a lot of people seizing the opportunity and get benefits. One of them is Paul Ssekyewa, a fish seed producer and grow-out farmer. Ssenya Fish Farm located at Ssenya Village, five miles from Masaka along the Masaka-Kiwangala Road. At the beginning, they did not have the technology and the infrastructure to start their own business, so they supplemented the training with reading books on aquaculture, ask the professional fish farmer for help online, and purchase a whole set of fish feed production line from Fanway Fish Feed Machinery. They begun producing fish fingerings, and now they have about 40 fish ponds with the capacity to produce 500,000 catfish fingerings and 250,000 tilapia fingerlings per month. The other one is Mitusera Bainomugisha from Iryango village in Kabuyanda Sub County in Isingiro District. At the beginning, his intention was to have enough fish for his family and sell the surplus to neighbours. As time went on he realized that demand was very high and he could not satisfy the market and then decided to venture into commercial fish farming. He started adding on ponds and diversified from tilapia to others like milacap and catfish locally known as emale. His venture has since grown into a multi-million business. With the expansion of the business, he wants to export his fish to neighboring countries in the East African region, and he did it. There are many such examples, people are full of confidence and hope for the development of fisheries.